Help and support students as they learn to write the numbers 1 to 30. 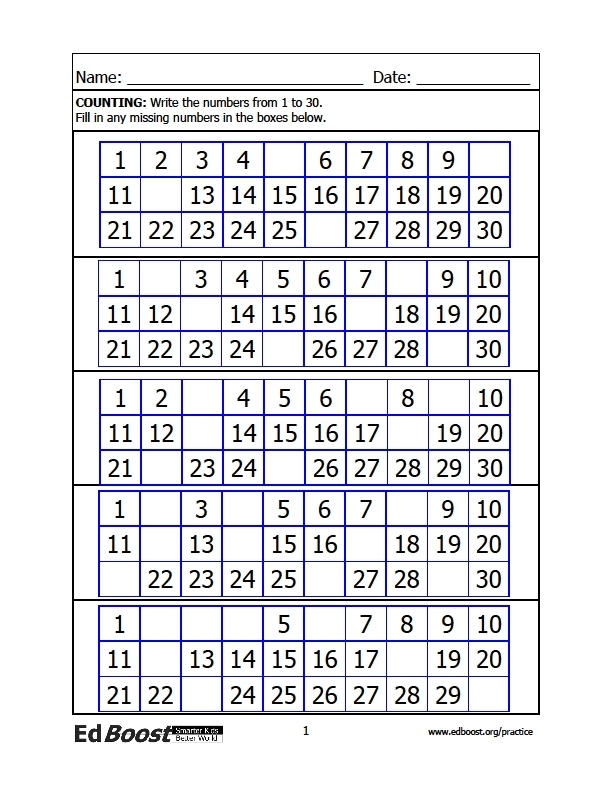 Grids provide guidance by helping students visualize how many numbers they should write. Grids early in the packet provide most of the numbers. Students just fill in missing numerals. Grids gradually have more and more blank spaces, until only key guide numbers are provided. The final sheet contains 5 blank grids for students to fill in completely. Pre-readers can do this packet if instructions are given orally.